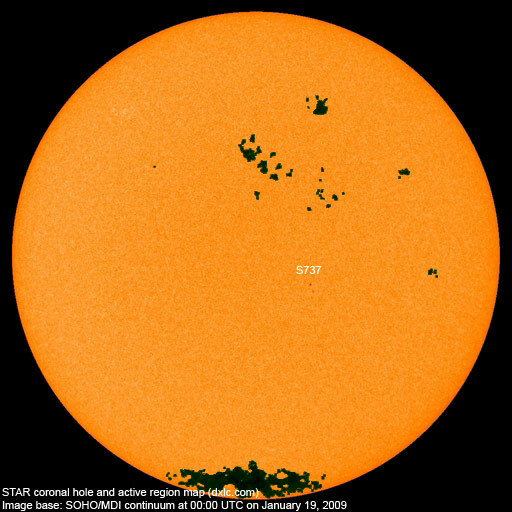 Last major update issued on January 19, 2009 at 04:40 UTC. The geomagnetic field was very quiet on January 18. 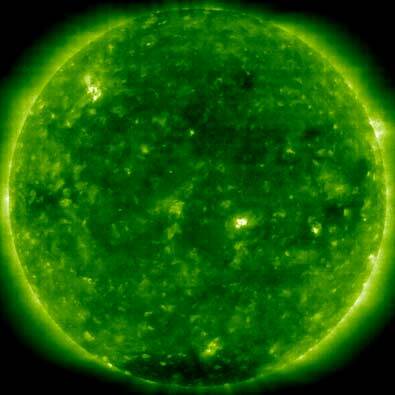 Solar wind speed ranged between 285 and 451 km/s. Solar wind speed increased late in the day as a high speed stream from CH356 arrived. Solar flux measured at 20h UTC on 2.8 GHz was 71.1. The planetary A index was 2 (STAR Ap - based on the mean of three hour interval ap indices: 1.6). Three hour interval K indices: 00000011 (planetary), 00011121 (Boulder). Spotted regions not numbered by NOAA/SWPC. [S737] This region emerged in the southwest quadrant on January 18 and has developed slowly. January 16-18: No partially or fully Earth directed CMEs were observed in LASCO imagery. 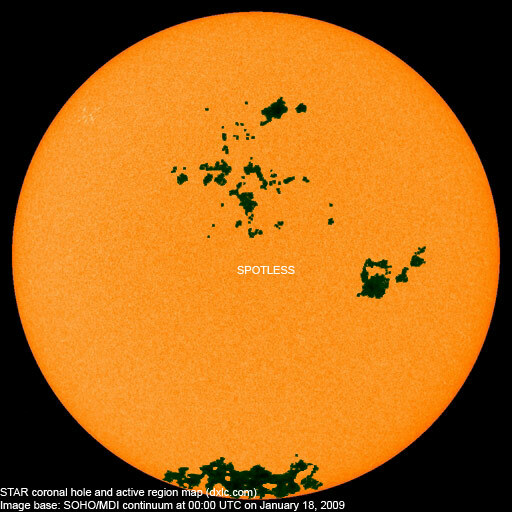 The geomagnetic field is expected to be quiet to unsettled on January 19-20 with a chance of active intervals due to a high speed stream associated with CH356. Quiet conditions are likely on January 21-23.